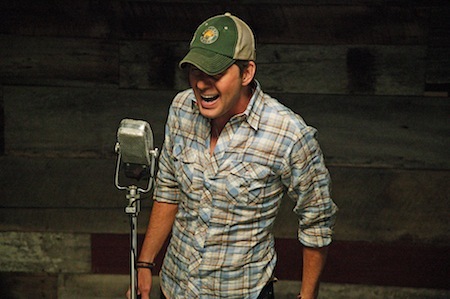 Curb recording artist Rodney Atkins debuts his new video for “He’s Mine” today, Tuesday, May 8, exclusively on iTunes. Directed by Ry Cox and produced by Iris Baker, the music video for “He’s Mine” features a special cameo by Atkins’ own father, Allan Atkins. The story line follows multiple father /son pairs from the rambunctious rebellion of the children's early years on into the honorable young men they become - the parents remain proud to claim them as their own. Preview the video here. "He's Mine" marks the second single off Atkins' latest album, Take A Back Road. Take A Back Road has already produced the multi-week No. 1 title single and contains promise of more great hits to come. Atkins hits the road on the Country Throwdown Tour this June with Gary Allan, Josh Thompson, Sunny Sweeney, Eric Paslay, and more.